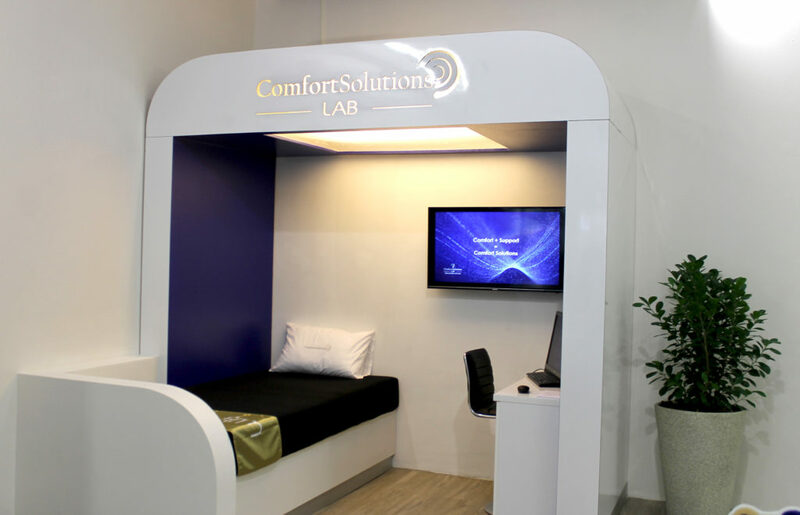 Our Comfort Solutions Lab® – installed at every Bed King outlet in South Africa – uses advanced pressure mapping technology that helps to determine your unique comfort and support needs based on your body composition and sleep position. 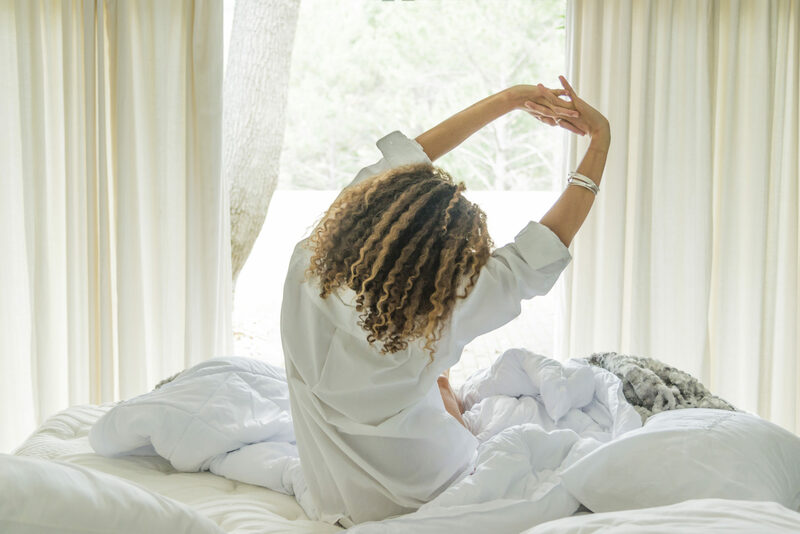 Our Comfort Solutions Lab® uses your unique data to recommend you a Comfort Solutions mattress that “knows” how to properly support and comfort your body while you sleep. This unique engineering breakthrough enables us to match you with the perfect Comfort Solutions Mattress. Choosing a bed in the past has been largely subjective, based on customers’ personal interpretation of the bed’s comfort and personal preferences. The implementation of the Comfort Solutions Lab enables customers to make the perfect choice based on science. People sleeping on an uncomfortable mattress will toss and turn up to 80 times a night. They seldom develop a deep sleep pattern. The Comfort Solutions® brand was developed after identifying the need for a comfortable and supportive mattress based on engineering, craftsmanship and quality. Undertaking extensive research, Bed King realised that the relationship between comfort and the amount of pressure exerted on the body by the mattress was key to a good night’s sleep. 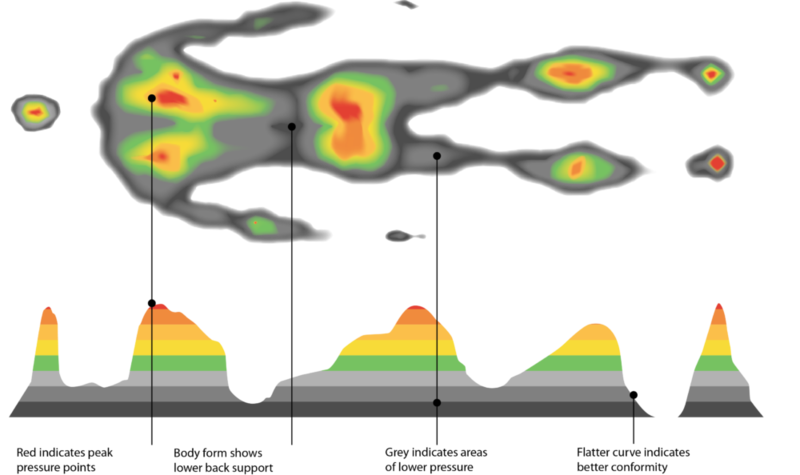 After a global study, suitable pressure-mapping technology was identified and the Comfort Solutions Lab® born. Bed King has been working for the past three years to refine the technology specifically for South African clients. The result is the establishment of a Comfort Solutions Lab® in each store. Taking the form of a spacious booth, each Comfort Solutions Lab® will include one mattress with a pressure – mapping sensor built into it. Clients will lie on the test mattress and assume their usual sleep position. After having their pressure map taken, the data will be displayed on a screen to enable customers to see the pressure points on their bodies. In addition to customers viewing their pressure points, the Comfort Solutions Lab® shows the gaps in our clients’ body maps as a result of the adequate or inadequate support provided by the sensor mattress. The Comfort Solutions Lab® identifies two important factors – the clients’ comfort and support needs. Based on the client’s unique needs, the Comfort Solutions Lab® provides mattress recommendations that match the client’s comfort and support requirements. Our Comfort Solutions Lab® is invaluable not only because we can better serve our customers, but because we will be able to objectively recommend a mattress based on our clients’ needs, thereby providing them with the perfect night’s sleep. Take your first step towards a perfect night’s sleep. How long does the diagnostic process take? How does the Comfort Solutions Lab® measure my body? What is postural support and why is it important? A: Postural support is achieved through proper body position, balance and spinal alignment. Postural support is important in providing you with better posture, allowing your muscles to work more efficiently, prevents muscle strain and back and neck pain. How do I know what my postural support recommendation is? A: The Comfort Solutions Lab® will reveal a results screen with your pressure map which indicates where you lack support and will diagnose your support needs. Does my sleeping partner need to be with me to determine the best mattress for us? A: It is advisable for both partners to take the diagnostic test so that we can accurately measure both support and comfort needs before making a recommendation that will suit both partners. What if my sleeping partner has a different result to mine? A: In cases where partners’ comfort and support needs differ, we will ensure the mattress recommendation provided accommodates the partner that requires the most support and that the mattress comfort is suitable to relieve both partners pressure points. 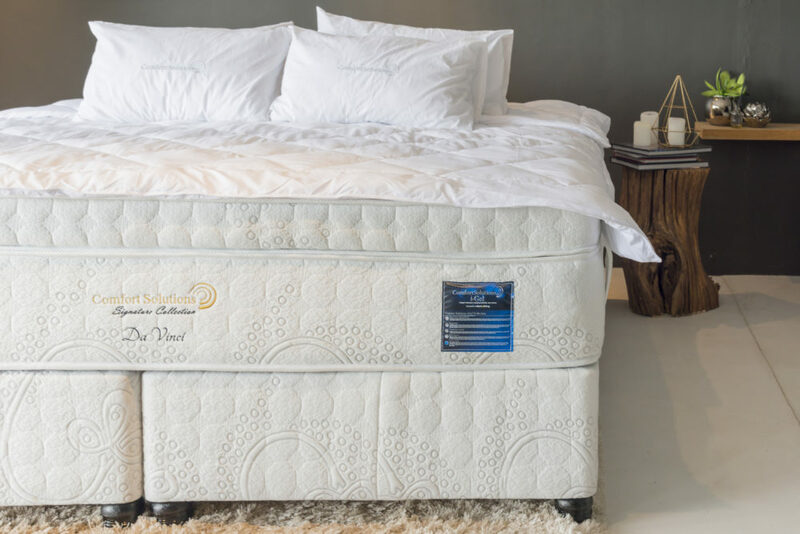 If there is a significant difference in their comfort needs, we will offer to make a mattress with two different comfort levels and specially manufacture this. Is there a cost associated with using the Comfort Solutions Lab®? Is there a Comfort Solutions Lab® near me? Where is the closest one? Is there an additional warranty provided after being analyzed by Comfort Solutions Lab®? A: Each purchase of a Comfort Solutions® mattress comes with a guarantee of 2 years and a service warranty of 10 years. What if I don’t like the recommended sleep surface? A: The Comfort Solutions Lab® uses advanced pressure mapping technology to recommend a comfort level that will best relieve your bodies’ unique pressure points and provide you with the most effective support for your postural needs. Keep in mind that it takes two weeks for your body to get used to a new sleeping surface/ get over sleeping on your poor previous bed. In the unlikely event that you find your comfort level unsuitable we will work with you to reevaluate your comfort level. Can the Comfort Solutions Lab® recommend a pillow? A: The Comfort Solutions Lab® recommends your comfort level based on your unique pressure map taken without the use of a pillow. Once you have found your Comfort Solution, we will help you find the perfect pillow from our extensive range. We have over 20 different types of pillows ranging from memory foam, gel memory foam, latex chip, micro fiber to down pillows and more.